Record linkage is the process of integrating information from the same underlying entity across disparate data sets. This process, which is increasingly utilized to build accurate representations of individuals and organizations for a variety of applications, ranging from credit worthiness assessments to continuity of medical care, can be computationally intensive because it requires comparing large quantities of records over a range of attributes. 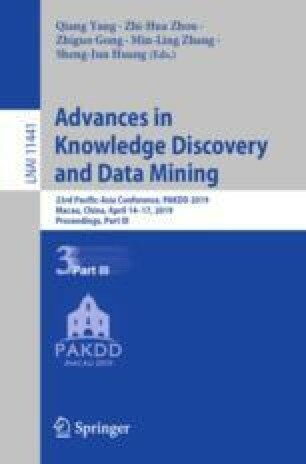 To reduce the amount of computation in record linkage in big data settings, blocking methods, which are designed to limit the number of record pair comparisons that needs to be performed, are critical for scaling up the record linkage process. These methods group together potential matches into blocks, often using a subset of attributes before a final comparator function predicts which record pairs within the blocks correspond to matches. Yet data corruption and missing values adversely influence the performance of blocking methods (e.g., it may cause some matching records not to be placed in the same block). While there has been some investigation into the impact of missing values on general record linkage techniques (e.g., the comparator function), no study has addressed the impact of the missing values on blocking methods. To address this issue, in this work, we systematically perform a detailed empirical analysis of the individual and joint impact of missing values and data corruption on different blocking methods using realistic data sets. Our results show that blocking approaches that do not depend on one type of blocking attributes are more robust against missing values. In addition, our results indicate that blocking parameters must be chosen carefully for different blocking techniques. The research reported herein was supported in part by NIH awards 1R01HG006844, RM1HG009034, NSF awards CICI- 1547324, IIS-1633331, CNS-1837627, OAC-1828467 and ARO award W911NF-17-1-0356.